Is your building in need of reinvention? Roofs are an important feature of any property and Finn Roofing will ensure that your roof performs to the best of its ability. We have years of experience in providing our customers with the best building refurbishments in the South of England. We have an in-house design team which will ensure that the roof/cladding refurbishments give your building a whole new life and transform its appearance. When you choose Finn Roofing, you can be assured that our team will complete all refurbishments to the highest standards. We offer our customers a range of roof refurbishments works to better insulate your building with minimal downtime for you and your property. Our team can refurbish a wide range of cladding systems to help improve the look of your building. In addition, we will provide a refurbishment service for dilapidated existing building with our full strip and re-sheet process thus giving your building a 21st century look. Our one to one service means you are part the process and our team will make sure you get the building you want. Finn Roofing combines aesthetics and functionality in its extensions thereby giving you a dependable product that will serve you for a very long time. Having a leaking roof can cause lots of problems amongst them insulation and heating. Through our refurbishment service, we seek to eliminate these problems and give you beautiful, effective, and brand new refurbished roofs. Strip and re-sheeting – Through this process, we effectively remove any previous roofing materials including Asbestos removal and in its place install new material. We mostly do roof overs when the existing roof or extensions fabric has extremely deteriorated to a point of being hazardous. Over clad systems – When doing roof replacements especially to commercial and industrial establishments, the reality of revenue loss and inconvenience to ongoing business cannot be swept under the carpet. 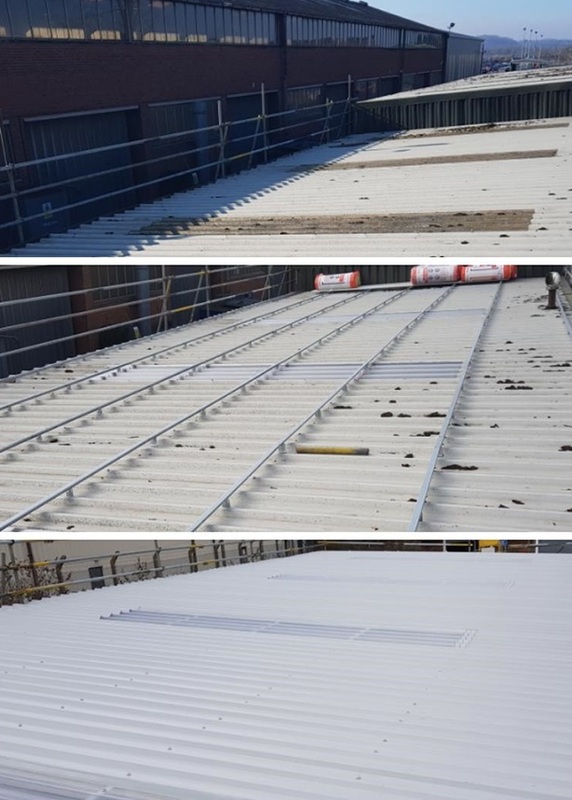 Through our over clad roof systems, we ensure that our clients can carry on with their operations while we attend to their roofs. Design and drawings – We develop and present ideas and specifications that form column encaser, entranceways, and feature panels. We have an entire division that handles designs and drawings. Thanks to our bespoke building refurbishments, you can have complete control over the final look of your new refurbishment.